Our Local Napa Valley Clients know a Greenhaus Facial is essential for regular skin care. Steeped in the European Wellness tradition of regular skin care, we carefully train all of our Estheticians to provide the most unique facials using the most superior products. See why Greenhaus has a devoted local clientele! Your Esthetician will analyze your skin and customize your facial with the right choice of skin care products and enhancements like LED, Microcurrent, Microdermabrasion, or a professional Peel. See your skin transformed with this targeted treatment that addresses specific problems and concerns you might have. The end result will be total relaxation while your skin will be hydrated and radiant. This relaxing facial is all about bringing you back to the basics. Healthy skin doesn’t have to be complicated. 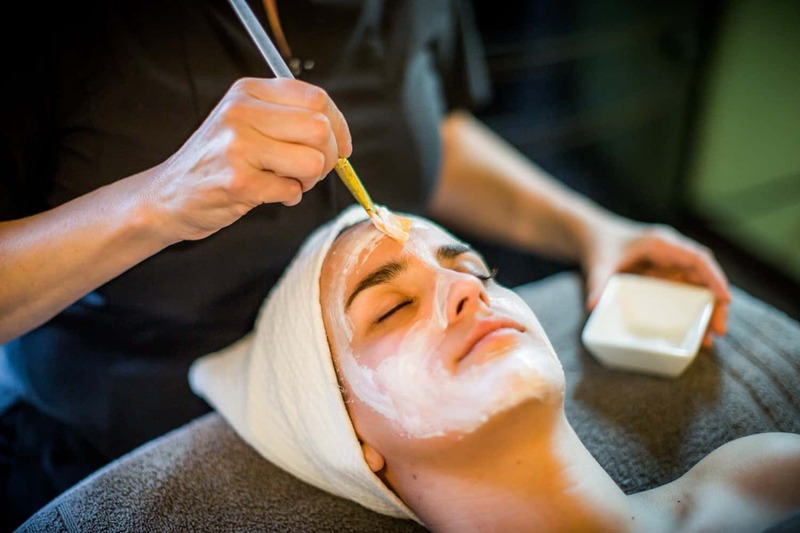 This treatment is just that, a basic simple facial which includes a skin analysis, deep cleansing, exfoliation, steam, facial massage, and finally a hydrating renewal mask. Layer upon layer of potent, plant-based antioxidants are utilized to revive dull, fatigued skin. A thorough cleansing and exfoliation is followed by a revitalizing facial massage. A powerful triple-phase Vitamin C treatment is utilized to help reduce the appearance of fine lines while leaving the skin looking refreshed and beautifully luminous. Since this is a stimulating facial, we don’t recommend this facial to clients who are extremely sensitive (rosacea skin types), under going chemo therapy, and/or pregnant. The ultimate age-defying facial with high tech products to help your skin against environmental factors that accelerate aging. Most importantly, it will help to reduce your facial lines, enhance your skin’s volume, and rejuvenate your skin. You will love your glowing skin while your mind will love the relaxing escape from all your high tech gadgets. Escape and pamper yourself with a luxurious experience just for you. You will start with an indulgent, slow sweeping back pressure point massage to put you in a state of bliss. Your facial will begin with a silky oil cleansing ritual using only the most luxurious products from Babor. Warm and cool towels will help circulate nutrients and oxygen to the skin while the HSR Babor products will help firm and smooth the skin. During the mask, you will enjoy a soothing hand and arm massage. Most importantly, you will leave with a feeling of deep relaxation and smooth, supple, radiant skin. This intermediate peel treatment is for a wide range of skin types and combines alpha and beta hydroxy acids to reduce surface lines, smooth out rough skin texture, aids in clearing acne, and helps fade hyperpigmentation. As a result, the acids in these peels remove dead cells from the surface without irritating the skin. Let us take care of this hard to reach area with deep cleansing and extractions to ensure a clear and smooth back. Cleansing, exfoliation, extractions, high frequency light treatment to disinfect, and finished with a balancing moisturizer with sunscreen. Resurfacing of the skin with mineral crystals. This technique can be compared to a controlled and gentle sanding of the skin. Benefits include reduction in fine lines, brown spots, acne scars, minimizing of sun damage, reduction of pore size, plumping of the skin and stimulation of collagen production. All with immediate results.